The official text for UK, Ireland, Australia, New Zealand as well as other english speaking countries. Volume 3: Weeks 6 - 34 i.e. all the days of the year that are not covered in Volumes 1 and 2. 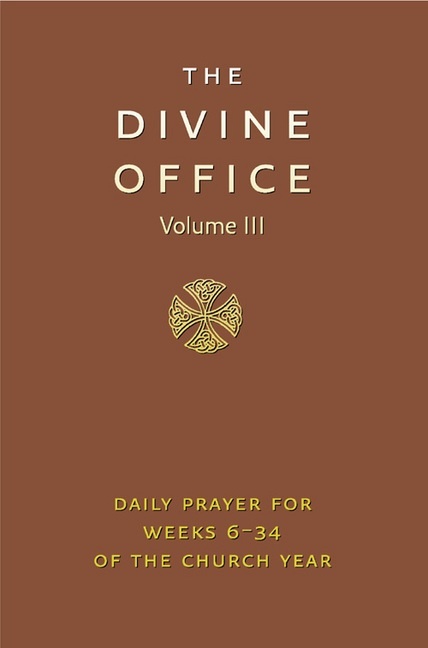 Includes all the prayers and readings. 2240 pages/ leather/fine binding with ribbon marker. See Related Items below to purchase Volume 1 (Advent to start of Lent) and Volume 2 (Lent to Pentecost).